Our Centre is proud to be a registered Member of Swim Australia, AUSTSWIM and supports the National Learn to Swim Campaign. Many of our Instructors are former competitive swimmers and state and national medal winners. All Instructors have current CPR qualifications and are trained in rescue and first aid techniques. 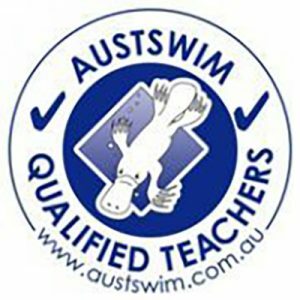 We are also a recognised AUSTSWIM centre and employ only professionally trained and qualified instructors teaching and promoting Swimming and Water Safety to people of all ages. Our friendly and caring instructors will give your child their very best!